Based on the drawings of Leonardo da Vinci for the Sforza monument. Intended to be the largest equestrian statue in the world, it was commissioned by Duke of Milan but never built. 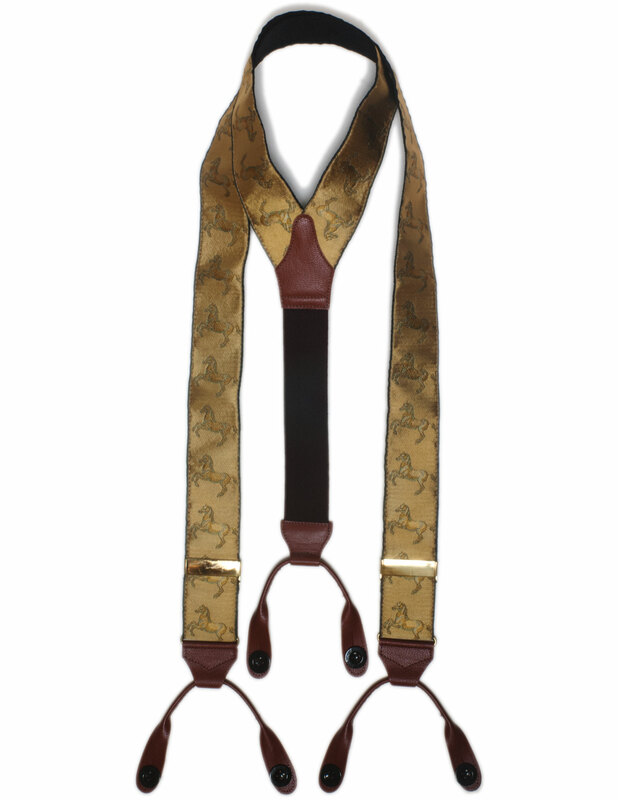 This is an archive design from the Albert Thurston range of Limited Edition silk braces with jacquard facings woven by Papilionaceous in Devon.